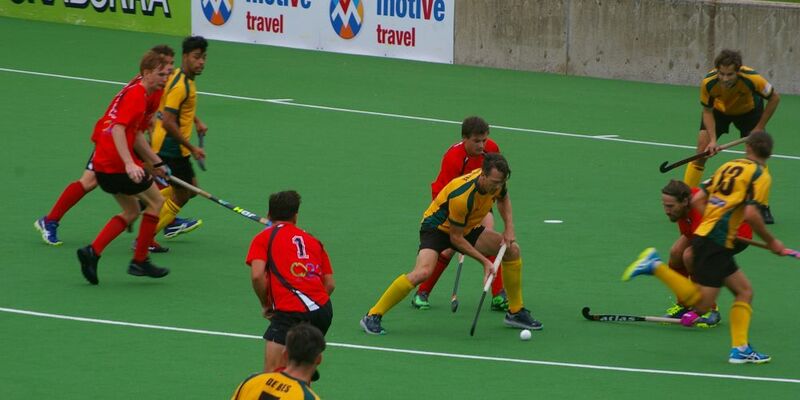 LAST year’s grand finalists Wesley South Perth (WASPS) have signalled their intentions for the coming season with a resounding 5-2 win over Old Aquinians on the opening day of the 2018 Hockey WA Premier League season. Reflecting on the victory, WASPS captain Cale Walsh said while it was pleasing to get the win, his side still had a lot work do over the coming weeks. “We started off all right; the first half was pretty solid. We just tried to hold on to the ball and make them run as much as possible because I don’t think any team is super fit at the moment,” he said. WASPS scored four goals to nothing in the first half as they put pressure on their opponents and forced them back. After the break, Old Aquinians hit back almost immediately as captain Adrian Lockley fired a penalty corner into the bottom right corner. Three minutes later WASPS’ 500-gamer Murray McIntyre scored from close range.